A jumbled Faile puzzle box, made in the Faile Puzzle Boxes app. Composition by RJ Rushmore. While Faile’s website has evolved over the years into something a bit more normal, they have not given up on putting their artwork into a digital format. Faile now has their Faile Puzzle Boxes iPhone app, where you can play with images of their work just like if you are playing with one of their real puzzle boxes made of screenprinted wooden blocks, except the app allows you to share your results and it’s available for free. 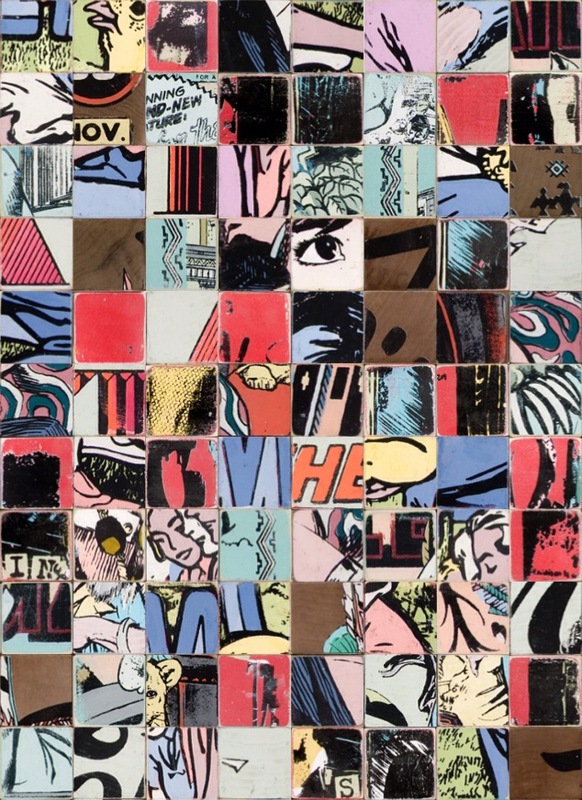 Even if you never see a painting or print by Faile in person in your life, you can make your own design out of their images in Faile Puzzle Boxes and share that result with your friends, both exposing new people to Faile’s work and strengthening your own bond with it. Faile describes the app as a way of “planting seeds” in the minds of viewers, much like their street art does. The app itself is not organic viral art, but the results are since they can be shared on the web. Essentially, the app is an organic viral art creation device for organic viral art based on Faile’s imagery.